The Aoraki Mackenzie International Dark Sky Reserve is the largest such reserve in the world, and offers stunning night-time sky views. Poised and ready – Lake Tekapo will be the home of a world-class astronomy experience when construction of Earth & Sky’s new facility is completed in March 2019. This exciting project is being carried out by Earth & Sky, a joint partnership between the Murray and Ozawa families and Ngai Tahu Tourism—a perfect partnership, as Ngai Tahu Tourism is also a whanauowned business, driven by its values and dedicated to providing authentic experiences that people can’t get anywhere else. Located on the shores of the lake, in the heart of the community, the facility will offer a unique yearround, day and night attraction. “The night sky holds special value to many cultures, and Earth & Sky intend to enhance the Aotearoa astro-tourism experience for all visitors,” says Quinton Hall, chief executive of Ngai Tahu Tourism. Accessible to everyone, from the thousands of visitors who transit through the region daily to those who stay in Tekapo for Earth & Sky’s stargazing and observatory tours, the project will add to the strong growth in the Mackenzie region projected by Tourism New Zealand. “Our goal is to connect visitors to the place and its people as well as to our experience and to our team, and as such we will look to be authentically local in our storytelling,” says Quinton. While experience details are yet to be released to the public, sitting in the heart of the McKenzie region Lake Tekapo is truly the perfect location for the Earth & Sky Astronomy Experience. In 2012 a 4300sq km area was declared as the Aoraki Mackenzie International Dark Sky Reserve. “It’s the largest Dark Sky Reserve in the world and the only one in the Southern Hemisphere,” says Quinton. “It also has the honour of being the first Dark Sky Reserve to achieve gold status in recognition of the pristine skies of the region. 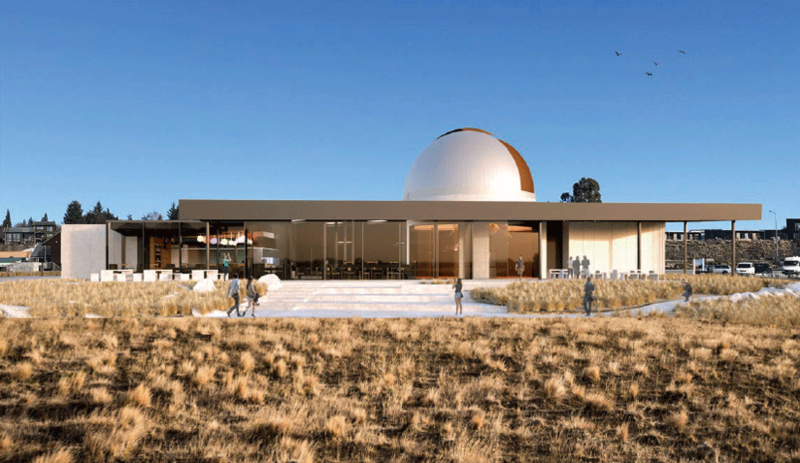 The new Earth & Sky Astronomy Experience building will reflect the strong and unique qualities of the glacial landscape and the amazing setting at Lake Tekapo. One of the core highlights of the experience will be a fully functioning restored 125-year-old Brashear Telescope that requires its own observatory dome. 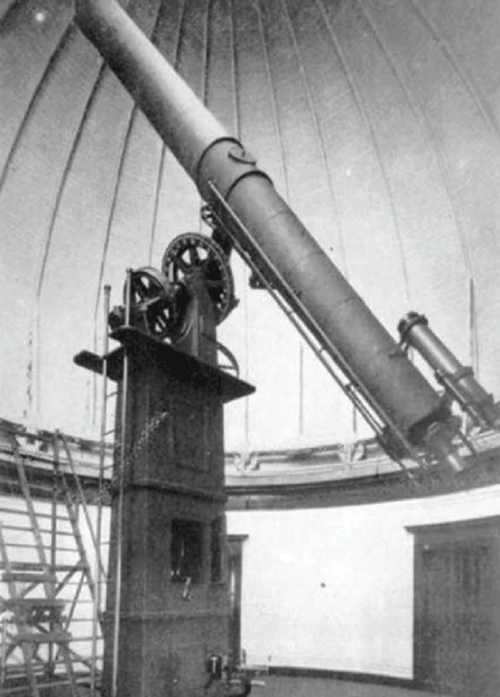 The Brashear telescope is a masterpiece of Victorian astronomical engineering, restored for a new generation of Southern stargazers. “The dome will clearly identify the building as a public astronomy centre and will highlight the importance of dark sky reserve tourism to the town, sending a clear visual signal that Tekapo is one of the premier locations on the planet to view the night sky,” Quinton explains. Designed by Christchurch architects Sheppard & Rout Architects, the Earth & Sky Astronomy Experience building will reﬂect the strong and unique qualities of the glacial landscape and the amazing setting. Built by Christchurch firm Cooks Brothers Construction and project managed by RCP, the scope of the $9 million build includes retail, tour departure terminal, cafe & restaurant, astronomy experience including the refurbishment of the historic Brashear telescope, and associated landscaping and civil works. Material and colours will be natural and recessive so as not to compete with the surrounding natural environment. restored for a new generation of Southern stargazers. The roof is black and the walls made from either natural concrete, dark Equitone or minimally reﬂective glass. The dome is planned to be a similar colour to the building and the landscape so that it blends in. Quinton says that visitors will be able to dine at the licensed café/restaurant while enjoying the stunning Tekapo landscape both day and night. “The aim will be to reﬂect local cuisine and produce. “The food and beverage offering is there to support our existing operation and the daytime offer, to complement the experience that we will create.